This is a vegetable fritters made from carrots, sweet potatoes, flour and potato starch. It.. This rolled cookies called barquillos is one of the many Spanish influences that we adapted.. This is a vegetarian pancake made from eggplant, egg, flour and seasonings. This is similar.. 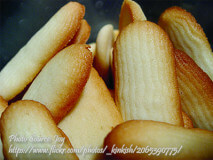 These long thin cookies resembles a cat’s tongue that is why it is called lengua..
Easy to make muffins with lemon juice and grated lemon peel. 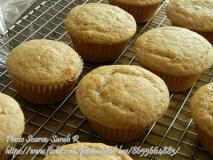 Making this muffins is..